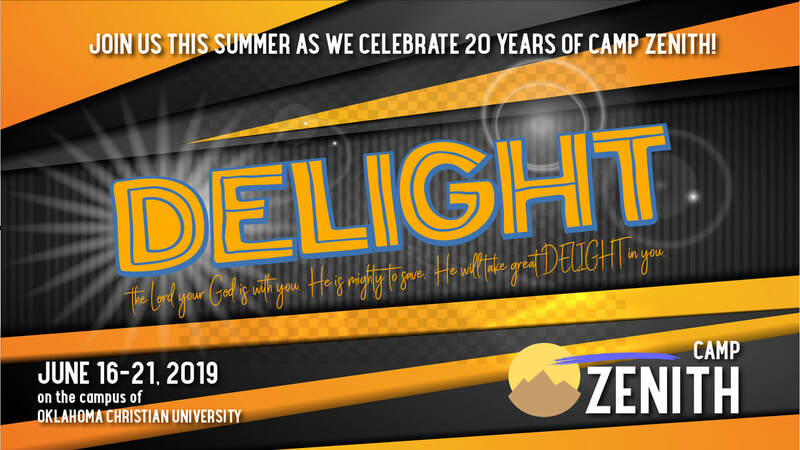 The word “zenith” is defined as “the highest point reached in the heavens by a celestial body.” For many campers, counselors and ministers who experience this incredible week of camp, it is one of the “highest points” of our entire year! It is a chance to “go up on the mountain of the Lord” and encounter God in a powerful way. Campers will be housed in air-conditioned dorm rooms. A team of great counselors is being assembled to work closely with students throughout the camp week. Friday at 9:00 a.m. Parents, please be on campus by 9:00 a.m. to check out your students. Tobacco products, alcohol products, illegal drugs, immodest clothing, portable electronic devices, cell phones, CD/MP3 players, radios, laptop computers, etc. All visitors to camp must check in at ZENITH CENTRAL which is marked by signs from the main campus entrance. No visitors under 18 years of age are allowed without an adult sponsor. All visitors must wear proper ID and comply with visiting hours. No visitors are allowed in residence portions of the dorms at any time.